Robert started playing cornet at eight years old at the Salisbury City Band, and at 12 won the Orchestral Trumpet Scholarship to study at the Elder Conservatorium of Music (University of Adelaide) under Standish Roberts, where he played with the symphony orchestra, wind ensemble and brass ensemble. Robert later studied under James Dempsey. During Robert’s teens, he was also Principal Trumpet of the Adelaide Youth Orchestra, South Australian Youth Orchestra and the Adelaide Wind Orchestra, and he won dozens of solo titles (including several junior and open Champion of Champions titles and the National Junior Cornet title). During this time he also studied conducting under Eric Banks OBE and Ernie Alderslade OAM. By 21, Robert was performing as a casual with the Adelaide Symphony Orchestra and was a freelance professional in Adelaide, Melbourne and Sydney. Some of Robert’s highlights included touring with the English National Ballet Orchestra, playing Principal Trumpet with Channel Nine under Geoff Harvey, and performing in a wide assortment of professional musicals and Adelaide Symphony Orchestra engagements. 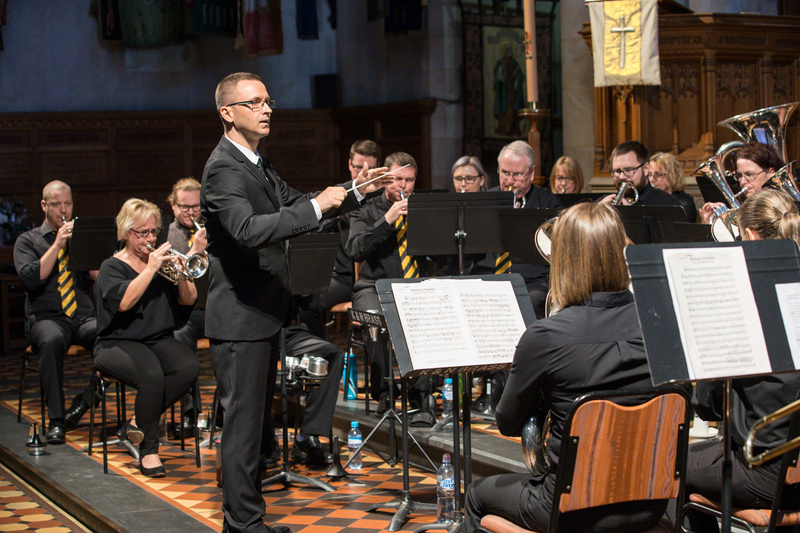 During this time, Robert also enjoyed playing Principal Cornet with the Tanunda Town Band, as well as carrying out many conducting engagements with them. Robert joined K&N Brass under Bruce Raymond in 2001 on Flugel Horn. He was part of the team that won the 2002 Australian National Championships. He moved onto Solo Tenor Horn in late 2003 before he was encouraged to pursue banding at the highest level in the UK. 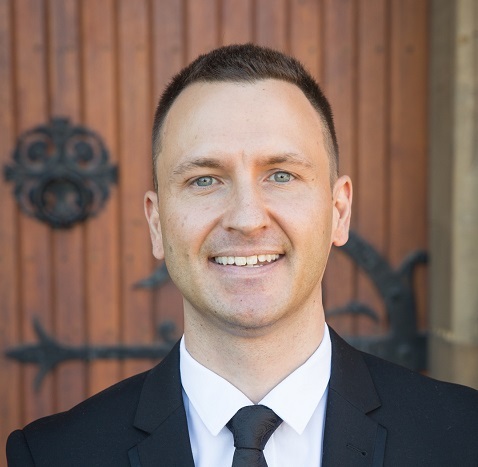 Robert moved to the UK in 2005 and studied Tenor Horn at the Royal Northern College of Music under Lesley Howie (as well as working full-time as a lawyer). He was Principal Horn of the Leyland Band (then National UK Champions) in 2005 under Russel Gray (later re-joining on 1st and 2nd horns in 2007), Principal Horn of the Besses o’ th’ Barn Band in 2006, and also deputised for various positions in the Fodens, Brighouse & Rastrick, Sellers International and BT Bands. Robert played in all the major band contests in the UK, as well going on various tours of Europe. After returning to Australia, a violent attack in 2009 saw Robert’s musical world crashing down, as his lower jaw was shattered, and successive surgeries meant that he lost feeling in his lower lip. Despite several attempts at a playing comeback, Robert has found it impossible to meet a reasonable standard and therefore relishes the opportunity to share his musical wisdom through conducting. He has since conducted various A Grade bands here and in Melbourne, including the famous Hawthorn Band. Robert took over the position of Musical Director of K&N in 2017 and since then has lead them to a State A Grade title, several major concert performances (including a rousing performance of Wilby’s major work Paganini Variations), and a highly successful 2018 Fringe Festival series. He is excited about being at the helm of K&N and believes that the band is destined for geat things.